Cost to install a lap pool varies greatly by region (and even by zip code). 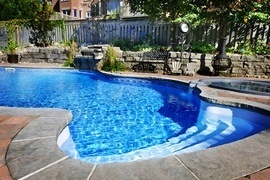 Get free estimates from swimming pool builders in your city. Cost to install a lap pool varies greatly by region (and even by zip code). The average cost of installing a lap pool is around $50,000. How much does it cost to install a lap pool? People who want to stay in shape, senior citizens who want to exercise at home, and really anyone who wants the convenience of swimming laps at home can benefit from a lap pool. Lap pools are designed to allow you to swim laps, and differ from recreational pools by their size. While lap pools can come in many sizes, the average yard usually best accommodates a pool that is around 45 x 8 feet, with a depth of around 4 feet. A homeowner can expect to pay around $50,000 for the installation of a fiberglass 1 in-ground lap pool, including pool heater and accessories. There are two types of lap pools: in-ground and above-ground. While in-ground pools appear more luxurious, above-ground pools are more common due to budgetary reasons and property restrictions. An in-ground pool is built sunken into the ground and the top is flush with the surrounding level. In-ground lap pools can be made of several materials. Fiberglass is one of the most common materials, but can only reach 40-feet in length, so using a fiberglass pool may restrict your size slightly. You can expect to pay around $50,000 for a fiberglass lap pool including shell, excavation, and installation. Concrete is another popular material that gives you more flexibility in terms of how big you want to make your pool. Concrete is much more expensive than fiberglass, and at 45 x 8 feet, you can expect to pay around $65,000 for the finished pool. A vinyl 2 in-ground pool is much less costly, without the size restrictions of fiberglass. You can expect to pay around $40,000 for the finished lap pool in vinyl including the liner 3, excavation, and installation. Above-ground pools are also an option that typically cost less, because there’s no excavation involved. With an above-ground pool, your sizes are more restricted for lap pools than an in-ground pool. Some portable above-ground pools can reach 42-feet in length, but are designed to be set up at the beginning of the season and taken down at the end. These pools typically cost around $2,000. Permanent above-ground lap pools are generally only 36-feet in length, which can be slightly cramped for a lap pool. You can expect these costs to range from $2,500 to $7,500. When installing a lap pool, it’s important to know which kind of decking material will satisfy your needs, fit your budget and complement your style. 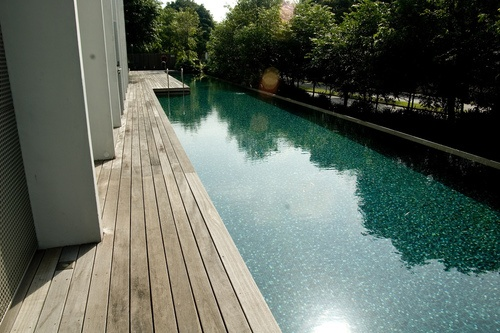 There is no particular length for a lap pool, you just need sufficient space to swim. A professional lap pool will measure 75 feet in length, but most people find that this is too large for their yards, and will install a pool roughly 40 to 45 feet in length. This gives you sufficient length to swim without feeling as though you are turning too often. Traditional lap pools are around 10 feet wide for a single person, but 8 feet is the preferred width for most backyard pools. If you plan on having more than one user, however, you need at least 12 feet in width. 3-½ to 4 feet in depth is common; any more shallow and you risk scraping your knuckles as you swim. Keep in mind that at these depths, diving into the pool is not recommended. Choosing materials for building your lap pool depends on what you can afford and what you find beneficial. 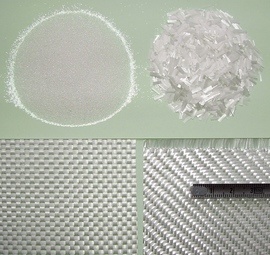 Here’s a comparison chart of lap pool materials so you can make a practical decision. The average time to install a lap pool, if it’s a fiberglass model, takes from 6-8 weeks, depending on where you live, while installation of a vinyl pool may take as little as 4-8 weeks to complete. 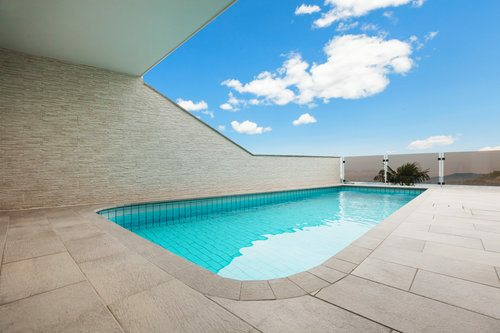 A concrete pool may take up to 3-6 months to install, since concrete pools require much more extensive landscaping than fiberglass and vinyl. The professionals needed for pool installation are a professional pool designer, who will look over your property and discuss your vision for your pool, and a professional pool contractor, who will carry out the installation. Installation includes building a retaining wall, making a concrete foundation, landscaping, installing electrical wiring, and building a fence around the pool. It’s always better to leave a pool installation to pros who have experience with this kind of project, rather than trying to do it DIY. Labor costs will vary from state to state and may be included in the installation package, but the average rate paid to a professional pool installer is $14.76 per hour, or an average of $5.37 per square foot. For the average lap pool, this makes labor roughly $10,000 to $20,000 of your total, depending on the material you’ve chosen. 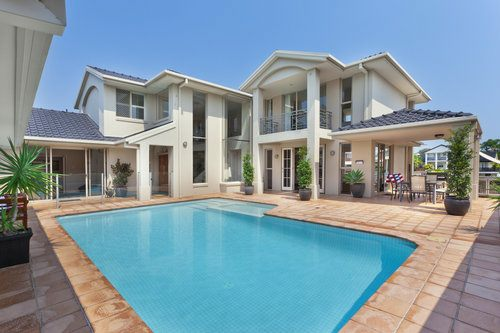 If you wish to keep your pool in good condition, consistent maintenance is paramount. 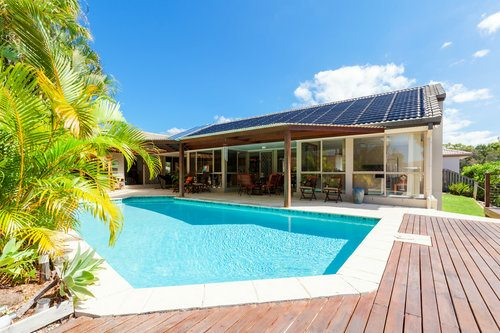 Along with the initial cost of the pool itself, the cost of keeping the pool clean is expensive, but it’s worth the investment to have the long term use. The cost of maintaining a concrete pool is quite high. Over 10 years, the average cost of maintenance totals $27,400. The initial cost for a fiberglass pool depends on how long the pool will be. A 40 ft. pool will cost around $50,000 with a 10-year maintenance cost of around $3,750. Another cheaper option, a vinyl liner pool initially costs around $40,000. 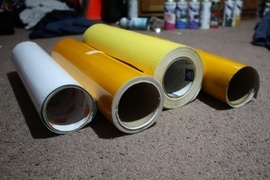 Unlike fiberglass, though, the maintenance remains costly, with an estimated cost of $11,500 for 10 years. Test the levels of chlorine 4, alkaline, pH and cyanuric acid in your lap pool daily. Add more chlorine if needed. Skim the surface of your pool and empty the skimmer basket as needed.If your pool is outside, it's likely to collect debris, like leaves, twigs and insects. Run the pool's filter 8-10 hours a day. If your pool uses sand or diatomaceous earth filters, it must be backwashed periodically to flush out dirt and debris. Pressure wash any cartridge filters. Brush grime and stains from the pool’s walls and floor. Use baking soda to remove stains. Always check the pool’s pH after using the baking soda to ensure that the alkaline levels are in normal range. If you don’t have the space or budget for a lap pool, you may wish to consider an endless pool 5, or a pool that provides resistance against your stroke so you can swim in less space. Both types of pools have benefits for anyone who’s concerned with budget, usage, and maintenance when buying either one. Space 40 ft. by 8 ft. 9 ft. by 14 ft.
An integrated spa or a hot tub is a possibility, if there’s room to build one. The cost averages between $15,000 and $20,000 in addition to the cost of the pool. If there are children around, and sometimes to be in line with local laws, a pool fence is necessary to avoid any unfortunate accidents. Prices range from $1,000 to $2,000. A pool enclosure or a swimming pool heater may be necessary if you wish to use the pool any time of the year. Prices for an enclosure range from $1,200 to $57,380, depending on how much area you need to cover. The average cost of the installation of a swimming pool heater is from $1,800 to $2,400. It’s necessary to have one if you wish to swim outside of the summer months and not endure a colder climate while exercising. A pool heater is also especially necessary if your lap pool is going to be used for physical therapy or as an exercise tool for a senior citizen. If the pool is going to be used mostly to swim laps, it’s better to enter the pool via niche or offset wall steps, with a metal grab rail 6, which costs under $200, rather than internal steps, which are up to $2,000. Your pool project can be a DIY project if you are able to follow the same work procedure as a professional pool designer and contractor. You will still need to deal with building permits, which may vary from state to state. Secure building permits, which may be approved quickly, within two weeks of the planned installation or it may take longer, due to required meetings with your community board. When your pool contractor has the necessary permits, the process begins. The average range of building permits’ prices vary in different states, due to property taxes, the length of the swimming season, the average days of precipitation, and labor costs. What is a good length of a pool? A recreational pool is usually around 24 feet long, while a lap pool typically measures around 45 feet. How long is the average lap pool? What is the average price for an in-ground lap pool? $50,000 is the average price of an in-ground fiberglass lap pool completely installed. How deep does a lap pool need to be? Lap pools must be a minimum of 3-½ feet deep, with 4-feet being the most preferred depth. How much does it cost to install a lap pool in my city? Cost to install a lap pool varies greatly by region (and even by zip code). To get free estimates from local contractors, please indicate yours.